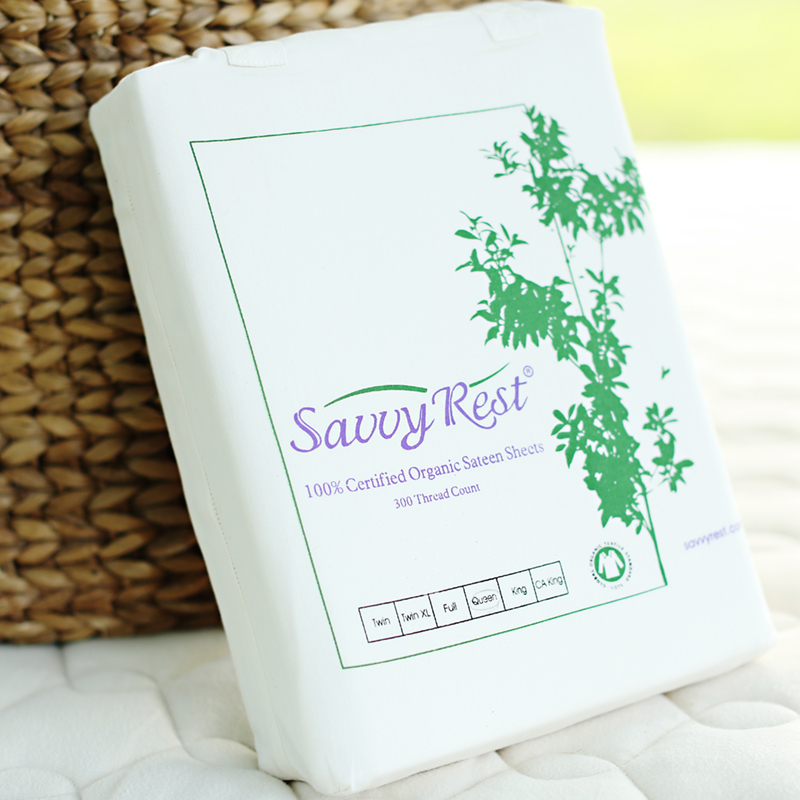 These organic cotton sateen sheets are made with fine, long-staple cotton. The natural cream color blends beautifully with any decor. Top sheets and pillowcases are hemmed with a narrow pleat. The sheets have a smooth, soft finish. 300 thread count. Split-Queen and split-King sheets are made with organic cotton but are not presently GOTS certified.